Ocean Mist Farms works to alleviate hunger and potential food waste each year by partnering with several key organizations. In the past 20 years, Ocean Mist Farms has donated nearly 12 million pounds of fresh produce! 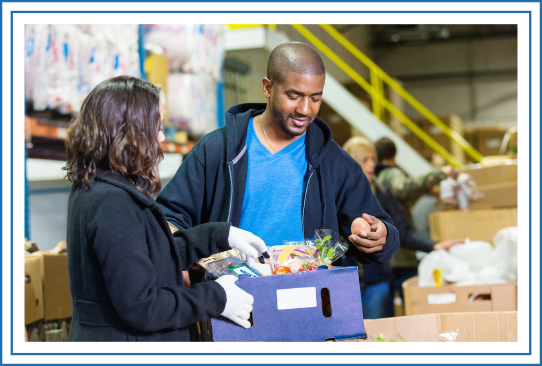 Ag Against Hunger of Central California is a model for produce recovery and distribution, alleviating hunger by creating a link between the agriculture industry and food assistance programs. The Farm to Family project connects the state's growers and packers with food banks to deliver fresh, nutritious food to families in need. Ocean Mist Farms employs a concurrent harvesting program; harvesting unmarketable produce for CAFB, donating an average of 25,000 totes of fresh produce each year. Additional surplus vegetables are donated to local dairies for cattle feed.